Sixteen-year-old Carly is set to become top of her art class until bully-boy Justin gives her a vicious payback for standing up for one of his victims. Her boyfriend, karate-trained nerd Dylan, wants to smash the guy's face in, but a fight at school means suspension, losing his chance at school honours and facing a furious father. Carly is determined to find a more creative solution to her problem, but will she sort it out before Dylan's inner caveman hijacks him and all hell breaks loose? Justin might be a pain, but his harassment leads to a deepening of Dylan and Carly's romance, and Carly finds an inner strength she didn't know she had. The magical realism style provides a touch of fantasy in an otherwise very real story that offers heart-warming solutions to bullying. 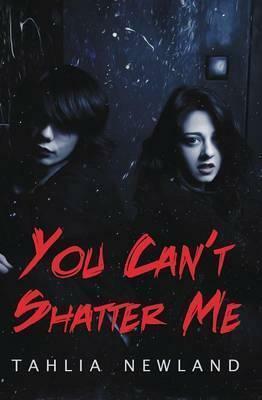 You Can't Shatter Me is food for the soul. It has received a BRAG Medallion for outstanding fiction and an AIA Seal of Excellence in independent fiction. "I was awed. Tahlia Newland's fiction is some of the best YA on the market. In Newland's deft hands, this novel is an absorbing, educational read, that both satisfies and gives hope to adults and younger readers alike." Blibliotica Book Reviews.